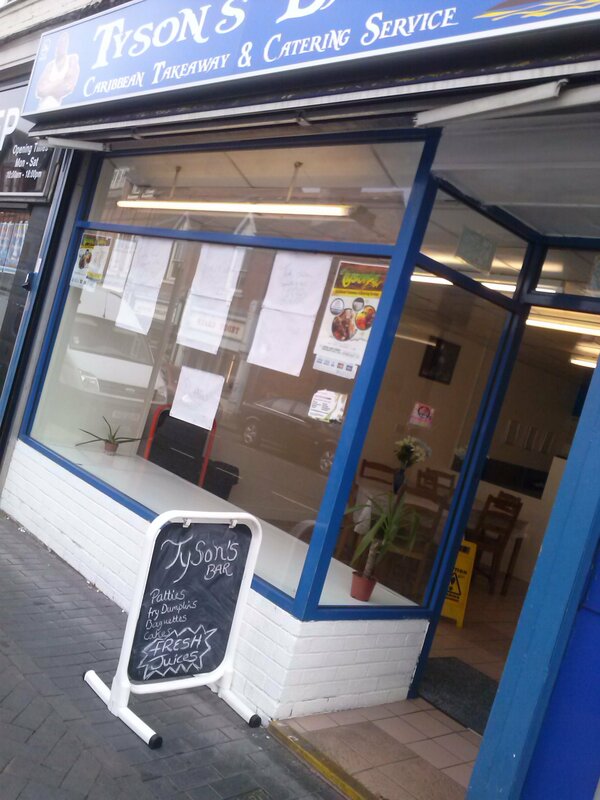 There is a great new takeaway/cafe/catering place in Wednesbury called Tyson's Bar. They sell delicious food, and it's very reasonably priced.They have scrumptious fried dumplings at 50p each, perfect for filling a gap until you get home or wherever you are going to. They sell soup, chicken, mutton or fish from £2.50 a portion. The main courses are all served with white rice or rice and peas with steamed vegetables or salad. You can choose from all the Caribbean favourites; jerk chicken, fried chicken, fried fish, ox tail, curry goat, ackee and saltfish or curried chicken .Prices are £3.50 for a mini portion, £5.00 for a small portion and £6.00 for a large portion. I found the mini portion just enough for one so it's not as mini as it sounds. It should be called "just enough for one" instead but that would take up too much room on the menu. Now my favourite part - the desserts. For only £1.20 per slice (cheapest cake for miles) they have carrot cake, rum fruit cake, banana cake, cherry and coconut cake, lemon cake, ginger butter ice cake, and vanilla cake. I can recommend the carrot cake, so moist just as it should be, and the lemon cake melts in the mouth. 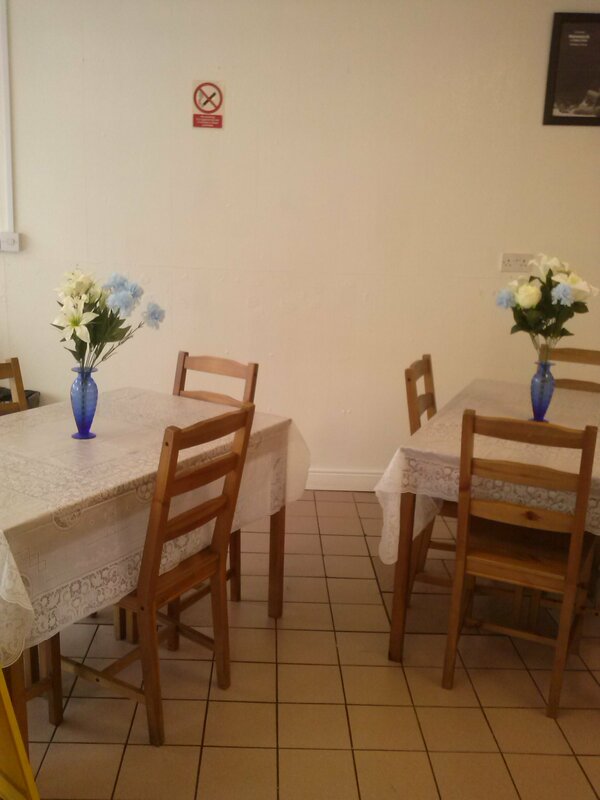 You can also have a cup of tea and slice of cake for just £2.00. I think that must be the best value in Wednesbury. As for the main courses, all the chicken meals are delicious. I am not a fan of fish, but my daughter had some fried fish so I tried some and was pleasantly surprised. They also offer side orders including fried dumplings, hardough bread, fried plantain, rice, and peas. If any of that is tempting you can wash it down with fresh juices or homemade lemonade. They offer free delivery on orders £10 or more in a three mile radius. At the moment opening times are Monday to Saturday frp, 10.30am until 12.00am, so you can buy very tasty, reasonably priced food most of the day and night. They will soon be open for breakfast too, so there will be no excuse to go hungry, morning, noon or night in Wednesbury.